The Winamax Network was established due to the owners, Winamax and Table 14, wanting to become an independent entity. When the Winamax poker website was established in 1999, they were part of the Ongame Network, but that has changed since then when they cut ties and established themselves as their own network or proprietary in other words. As they are fairly new at this solo attempt at being their own network, they still only have one website in their network, Winamax.fr. They are a French based company that only deals with French players. They do not allow US players to join, and seeing as their main language is French, and do not support English, this is no surprise. They are headquartered in France, and are licensed and regulated through the UK Gambling Commission. As Winamax is an independent poker network, they use proprietary software from France. Their owner, Table 14, is in charge of creating and developing the software they use on their poker site. Winamax has really outdone itself in terms of creating a, user friendly and versatile software. The software comes with two options for its French players to pick from; online or downloadable. The online version of the poker software is set in place so that the players do not have to download any kind of software and can play directly from their internet browsers. The downloadable option is for those players that prefer to use the software on their personal computers; some may even say that it is a more stable way of playing. Both versions of the software are available to players that use a PC, Mac, and even those that use the Linux operating system. Table 14 and Winamax have even expanded into the Apple market by creating an app that allows users to play Winamax poker directly through their iPhone, iPod, and/or iPad. They have also included a version of their software for the Android users as well. By creating this kind of software they have been able to tap into the mobile device market quite effectively. The poker network bases its traffic and membership from France. The Winamax Network does very well considering it only has a single online poker site within its network. They usually get anywhere between 1,400 and 3,200 real money game players during a given day. This is a pretty high number comparing them to other international networks. They average about 8,000 to 10,000 total players a day and that number will only increase as they market themselves more. As mentioned before, the Winamax Network only really has one poker website that it oversees. 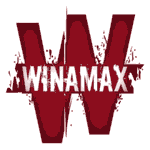 The website is the France based online poker site, Winamax.fr. The website is completely in French, and does not offer any other language. The layout is pretty effective; keeping all the necessary information on the front page, along with a small preview of each section the website has. They are big on helping out the new members that may not have a lot of experience with poker by having a poker school that teaches them the basics of the different poker games they offer. Winamax offers a variety of poker games, most of which are the popular titles that everyone is playing at the moment. They offer Texas Hold’em, 7 Card Stud, Omaha, and 5 Card Draw. Since Texas Hold’em is one of the most popular poker games played currently, they do revolve around it. The Poker School teaches mainly Hold’em basics and tactics. With these types of poker games, they have been able to keep their traffic count high. What impresses me the most is that Winamax is an independent network that caters only to French players, and is still able to be such a large and popular network and website. They know how to market themselves and create a good environment for their members; definitely a role model for those up and coming poker websites.